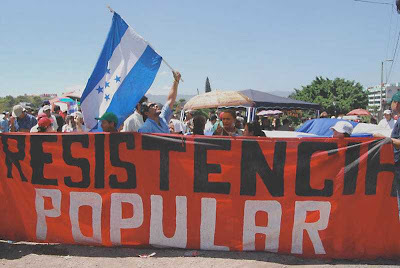 human rights delegation to support the Hondurans in their resistance. working with and ask for your support on a new project. of these crisis is crushing the poor people of the world. Felix knows first hand effects of repression by his government. into a golf course, and a Marriott resort. hire them for the work they had been promised. have been destroyed or shut down in the past year. the high value placed on humility in indigenous and campasino culture. gain prospective and understanding about the daily life of resistance. and reliable vehicle for transportation. the success of this revolutionary project. revolution… revolution is but thought carried into action. Take action and demand David be released. David wants to stay in America, his home, he is not a flight risk! Organizations from Colombia to Honduras to Argentina oppose the further intensification of U.S. military presence in the region, and have been spurred to action. Bolivia’s President Evo Morales has suspended plans to build a major highway through indigenous peoples’ land in the Amazon rainforest.